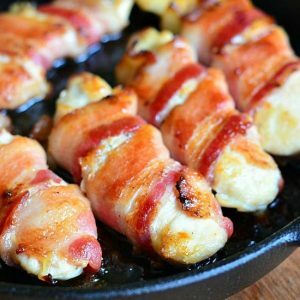 Bacon Wrapped Chicken Strips is a delicious and easy family dinner. Juicy chicken tenders glazed with a combination of maple syrup and Dijon mustard and wrapped in thick applewood bacon. Last week, I got an incredible opportunity to go visit Tyson Headquarters in Arkansas. I was so touched that Tyson invited me into their home to meet the great people that work there and learn about their company. It was pretty cool to get behind the scenes tour, made me feel very special. When I think of company headquarters, makes me think of a business building, cubicles, offices, grey walls, stuff like that. Tyson was nothing like that. It was very warm and has a family-like feeling. They have a Tyson history museum right in the main lobby, where everyone can see the progress through the years, from the very first chicken truck and egg incubator to the present time. I also loved the art collection in the halls. It was completely unexpected to see the art from local and world famous artists in the halls. Mostly, I was happy to see the care that goes into the product development and product testing in this company. It’s something that everyone would hope any food company would do but seemed unexpected anyway. They put in months of planning and development into each new product and constant testing of the new and existing products. We learned how they make constant improvement to the products and always open to the customer’s opinions and suggestions. It was so much fun to be a part of new product testing as well. We tasted so many new products and even those that are not on a market yet. My favorite turned out to be Chicken Spinach & Feta Toastini. Oh, sorry, I just keep blabbering on and you are here for that juicy bacon wrapped chicken recipe, right? 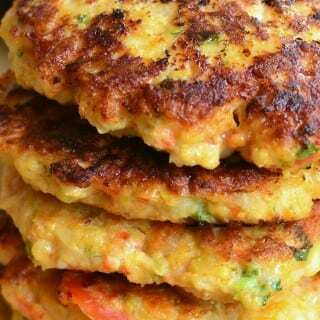 This chicken meal idea is amazing you you will definitely be licking your fingers and your plates after it. 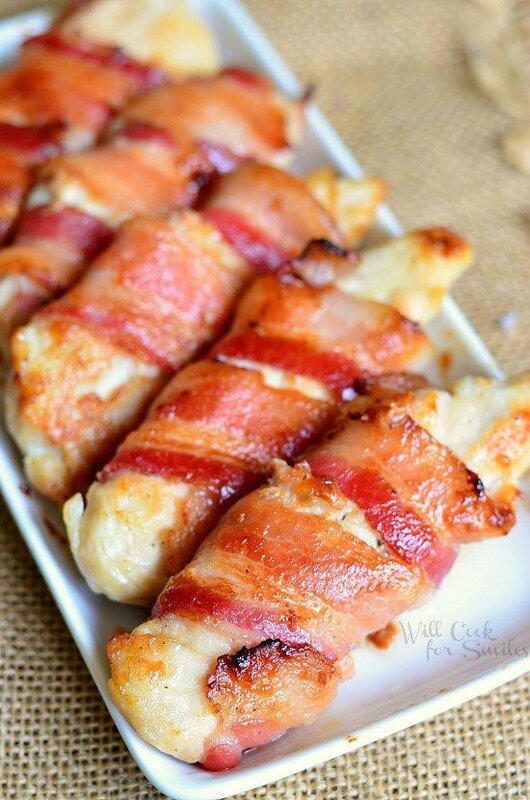 It’s made with juicy chicken strips and wrapped in bacon. For an additional flavor pop, I glazed that chicken with maple syrup and Dijon mustard mixture. The combination of flavors is just divine and this chicken strips recipe is so easy to make. Juicy chicken tenders glazed with a combination of maple syrup and Dijon mustard and wrapped in thick applewood bacon. Preheat a seasoned iron cast skillet on stove top, over medium heat, and rub a little more oil over it. In a small mixing bowl, whisk maple syrup, Dijon mustard, salt, and pepper together. Add chicken strips and mix until each chicken strip is coated in the mixture. 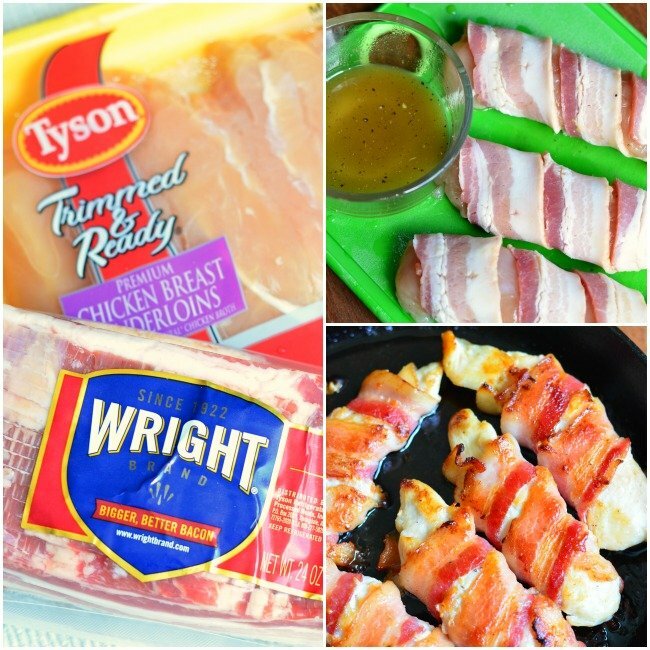 Wrap bacon slice around each chicken strip and place them in the skillet, loose end down. Sprinkle with a little more salt if you wish. Seat chicken strips for a few minutes of each side, until it starts to golden and transfer the skillet into the oven. Bake for 15-17 minutes, until bacon is nicely golden brown. *Disclosure: This post has been compensated as part of a social shopper amplification for Collective Bias and its advertiser. All opinions are 100% my own. Originally published on Will Cook For Smiles on May 14, 2014. 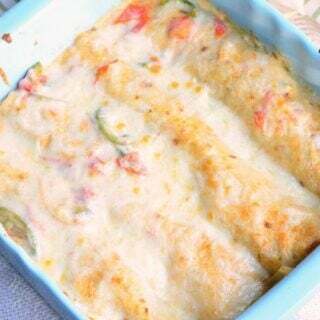 My boys and I would absolutely love these and I can’t wait to make them! Let me know how you guys like them! Thank you, Matt! 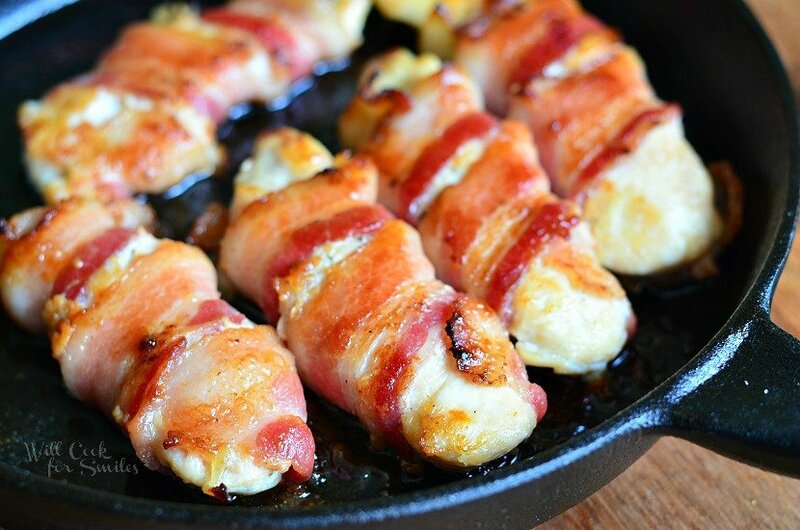 Thanks 4 this recipe of bacon wrapped chicken strips. 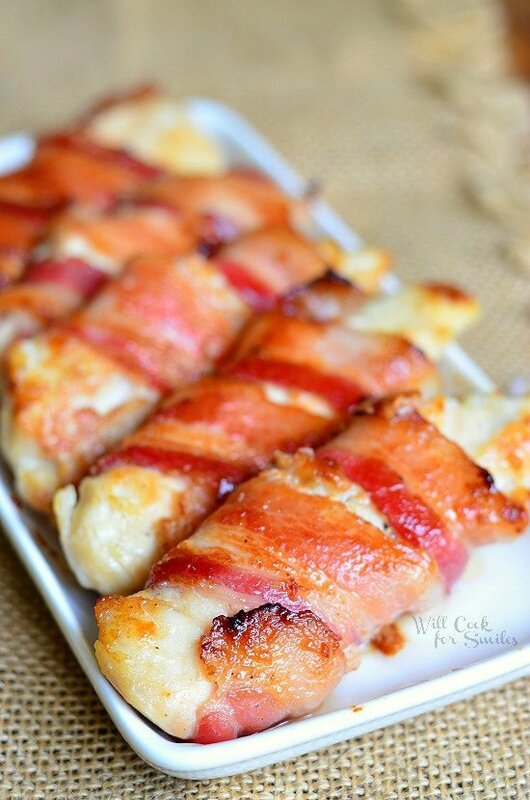 I made these, but I used turkey bacon and it was a HUGE hit with my entire family, thanks! I’m so happy that you liked it, Brenda! That’s what I always like to hear! Found this recipe on Pinterest and decided to make last minute except I did not have dijon mustard on hand. I used a little bit of teriyaki sauce instead and it they were also yummy. My boyfriend and his little boy loved them! Thanks for idea. Thank you SO much! I will definitely check and report her. It’s just heartbreaking when they do that. Oh man, this is THE best. 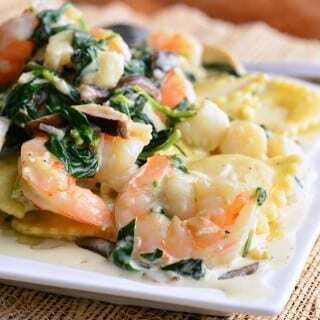 I made this for dinner tonight and I just HAD to thank you for this awesome recipe! I know this will now be a regular family favorite. I’d love to make these for my daughter’s bridal shower. Can they be prepared ahead? 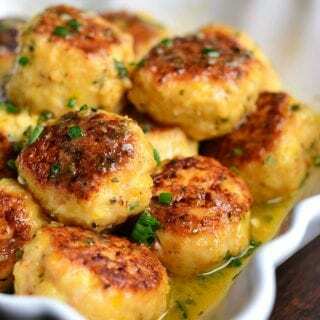 How do you make these without a cast iron skillet? HUGE hit with the family. And so easy and fast. I walked in the door and we were eating dinner in under 30 minutes. So I know this can be cooked in a regular pan, but for how long? In the recipe where it says to bake in oven for 15-17 minutes what do I do instead if I use a regular pan on the stove top? Do I just cook them in the pan for 15-17 minutes making sure to cook both sides of chicken? 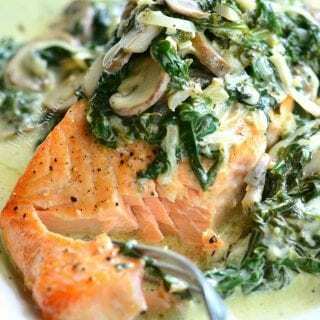 Yes, you can cook it on a stove top. You will have to cook on both sides. I would estimate 7-10 minutes on each side, over medium heat, but you will have to judge if it’s done. You can touch in the middle of the biggest one and see how firm it is or just cut into the biggest tender to see if it’s done in the center. The exact time always depends on the size of chicken tender. THIS IS EXACTLY THE TYPE OF CHICKEN TENDERS RECIPE THAT I’VE BEEN LOOKING FOR…EXCEPT…THE MAPLE SYRUP. WHAT TYPE OF SUBSTITUTION COULD I USE? MAYBE A BRUSH OF OIL OR EVEN A SALAD DRESSING? PLEASE RESPOND. 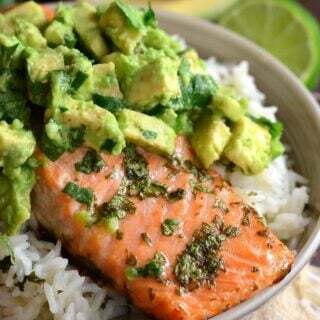 You can try using honey, agave nectar. Maple syrup is there for flavor and not to grease it. It’s the sweetness and maple flavor that I was going for. That’s why honey or agave nectar will be good substitutes. If you don’t want sweetness at all, you can just skip it and make is Dijon tenders with bacon. You can add some fresh cracked pepper too.